When the world of cannabis seems forever stunted by those in the federal government (looking at you, Jeff Sessions), we often turn to influential individuals outside of politics for hope. 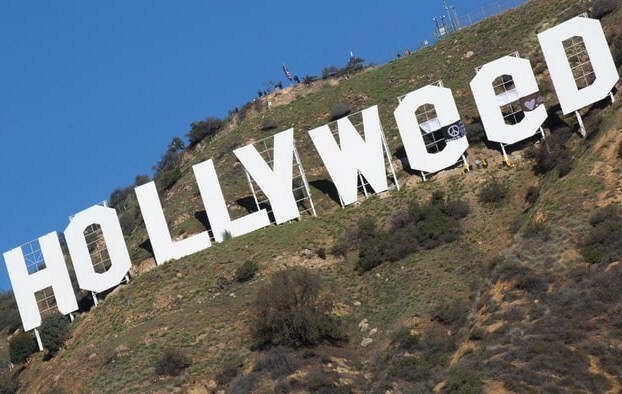 It’s no secret that numerous celebrities across film, TV, and music have always supported the cannabis community—and some have even been arrested for it. In the fall of ‘48 young movie star Robert Mitchum was arrested for smoking a joint at a party and spent 60 days in jail. But times have changed. 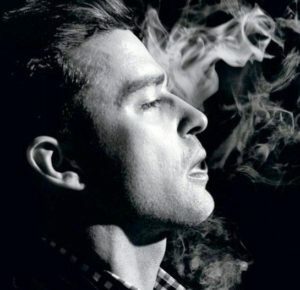 Whether they openly use cannabis, support decriminalization or support its medical potential, celebrities often use their public status and platforms to speak out in favor of marijuana. Here we’ll examine ten celebrities (some obvious supporters, others aren’t) who endorse, and participate in, the cannabis community. 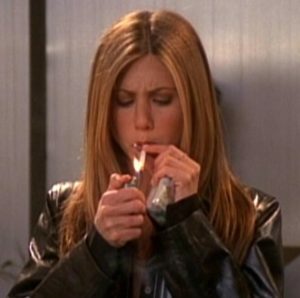 A household name for her role as Rachel on Friends, Jennifer Aniston doesn’t shy away from talking cannabis. Not a real surprise, considering she’s been caught smoking by the paparazzi. In a 2001 interview with Rolling Stone, she said, “I mean, I enjoy it once in a while. There’s nothing wrong with that. Everything in moderation.” Aniston openly discussed cannabis despite that fact that in the early 2000s, all-things cannabis were still taboo, especially coming from the star of the biggest sitcom at the time. Props to her for being one of the first celebs to breach the topic! 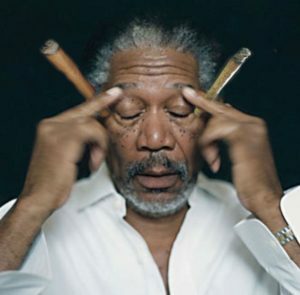 While Morgan Freeman’s voice is probably the narrator of your dreams, he’s also vocal about his support for cannabis; as a fibromyalgia sufferer he uses it for pain relief. In a recent interview, Freeman said, “Marijuana has many useful uses…I have fibromyalgia pain in this arm, and the only thing that offers any relief is marijuana.” Freeman is not only an advocate for medical cannabis use, but his relief is a testament to the positive impact that cannabis can have on people’s lives. 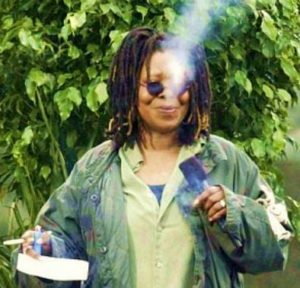 Not only is Whoopi Goldberg a vocal cannabis user, she’s also founded her own medical marijuana business! Targeted specifically at women, Whoopi & Maya’s products aim to alleviate feminine problems like menstrual pain. For us ladies, this is a game-changer because cramps are no laughing matter. This celebrity is using cannabis to solve issues that all women like herself experience at one time (or every time), not just trying to make a quick buck. Very inspiring! When you’re living life as an international pop music sensation, a little marijuana can help you slow down and recoup. Recently, at a recent concert at Denver’s Pepsi Center, J.T. praised the crowd, saying, “It smells legal in here tonight!” It’s clear that he’s come a long way from boy band singer to cannabis advocate. If you’re a fan, then you know pop icon Rihanna shares her love affair with cannabis publicly. All you have to do is check out her Instagram page to see photos of her proudly showing off blunts. While she doesn’t talk openly about her love of cannabis, it’s clear that she embraces it wholeheartedly, even in her lyrics, and so do her fans! Rihanna uses her music to express her love of the green stuff in her song “James Joint” as she sings, “I’d rather be smoking weed, whenever we breathe.” Raise your hand if want to smoke with Rihanna! Snoop Dogg has never been quiet about his love of marijuana; in fact, he’s made a career out of it. He almost always smokes at his concerts, on his web show, and during other public appearances. 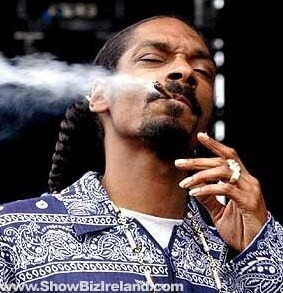 Of his cannabis use, Snoop says “So what if I’m smokin’ weed onstage and doing what I gotta do?…It’s a peaceful gesture and they have to respect that and appreciate that.” I think we can all understand his logic here. In addition to using weed, Snoop Dogg has his own line of cannabis products, Leafs by Snoop. Unfortunately for now, his edibles, flower, shatter, and wax are only available in Colorado dispensaries; but it should be only a matter of time before you’ll find them here in his home state. It’s great to see Snoop in the business of making people feel healthier. 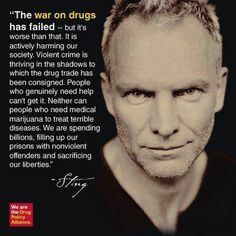 When you think of cannabis, you probably don’t think of Grammy winning Police front man, Sting. Think again. While he doesn’t speak to cannabis specifically, drug reform has everything to do with cannabis and the steps several states have taken to legalize and decriminalize it. 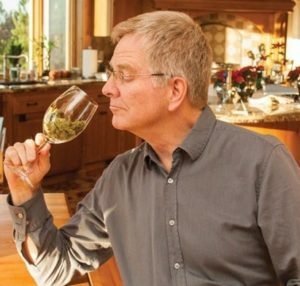 If you watch PBS, you probably know Rick Steves as he’s taken through a tour of almost every major European city, helping to plan your own oversees adventure. But you probably don’t know that the travel writer uses his platform to advocate for cannabis legislation, a shock considering he’s an older, dorkier (but lovable) public TV personality. Who knows, maybe Rick will release a cannabis guide in the future (we hope so)! 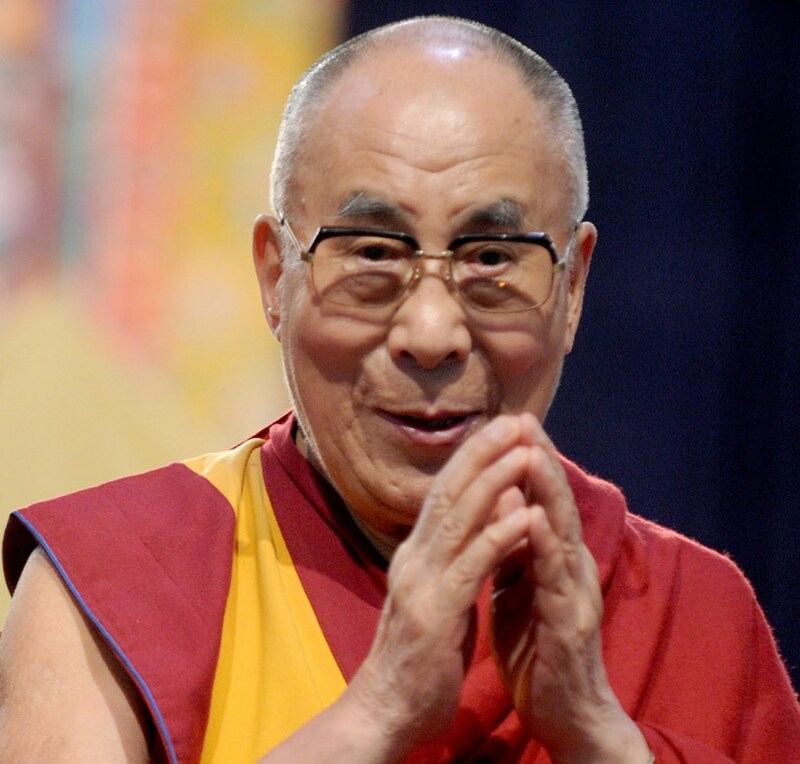 He may not be a celebrity in the traditional sense, but the Dalai Lama is a world figure everyone knows and celebrities admire (remember the Tibetan Freedom concerts?). While he can’t officially support cannabis because of the Buddhist pledge to abstain from “caffeine, alcohol, and drugs,” he supports its medicinal use. The Tibetan spiritual leader said “the exception” for smoking marijuana would be if it has pharmaceutical virtues. Even a light endorsement is ground-breaking for a religious leader; hopefully others will follow suite and help open the door for medicinal cannabis worldwide. In a world where cannabis continues to be a polarizing topic, it’s exciting to see influential people publicly talking about it and trying to make a positive change. Celebrities have a platform to voice their opinions, and when used properly, real changes can happen. Let’s hope their support helps to change cannabis’ legal stance sooner than later.